With the winter holidays fast approaching it’s time to start decorating your new homes in Minneapolis MN in their festive finery. While you’re at it, mark your calendars and purchase your tickets for some of the best holiday fun for the whole family this season. When it comes to celebrating, Minneapolis knows how to put on a show, not to mention parties, plays, fireworks, holiday markets and much more. Thanksgiving is a wonderful celebration, but sometimes the stress can get too much, especially if you’re trying to feed a particularly large group of family and friends. Consider going out to eat this Thanksgiving so you can truly relax and enjoy the food and company and not have to do any dishes. Among the restaurants in town that are open and including traditional Thanksgiving fare on their menus are McCormick & Schmick’s, Fogo de Chao, Mystic Lake, Firelake, and even Bryant Lake Bowl. Make your reservations early. 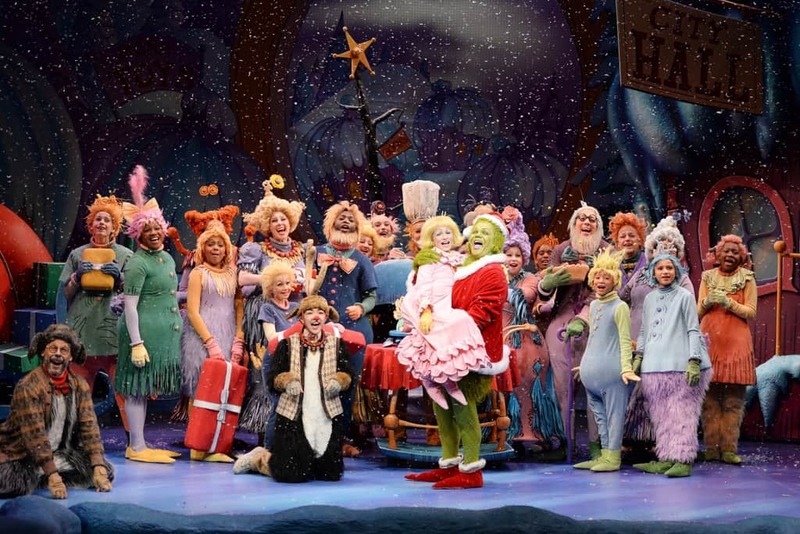 Last year’s production of How the Grinch Stole Christmas, presented by the Children’s Theatre Company, was a sold-out smash. They’ve brought it back again this year, so get your tickets now! It begins Tuesday, November 6 and runs through Jan 6, 2019. Ticket costs vary from $15-80 per person, depending on seating and the time of the show. Minneapolis is home to a number of people with Nordic ancestry, and families can enjoy exploring this side of their heritage at the Family Day: Handmade Holidays event at the American Swedish Institute. The museum displays various Nordic and Czech holiday traditions, decks out the historic Turnblad Mansion in seasonal finery, and offers a variety of family craft activities. The event takes place Saturday, November 10, from 10 am to 5 pm and is included in the museum admission cost. Bachman’s on Lyndale is opening its doors for the Bachman’s Holiday Open House on Saturday, November 17, from 9 am to 3 pm. They’ll be welcoming the holiday season with Santa and his sleigh and kids will enjoy the opportunity to visit the reindeer corral. There’s also a craft counter for lots of fun crafts and activities. Plus, the annual Santa & Albert holiday play will be held at 10 am, 11:30 am, 1 pm and 2:30 pm so everyone will have a chance to enjoy it. Cookies, juice, and coffee will be served at this free event. Finally, the ever popular Holidazzle is returning to Loring Park. With free admission, visitors will enjoy a variety of vendors, activities, food, firewords and more. This holiday favorite runs 5-9 pm on Thursdays and Fridays until 10pm, Saturdays from 11 am-10 pm, and Sundays from 11 am-7 pm through December 23. These are just a few of the family friendly holiday events taking place now and throughout the next few months. Anyone living in the new homes in Minneapolis MN and the surrounding cities will have plenty of fun things to do this holiday season. We are here to provide the best quality home to you and your family. It’s our promise to you!